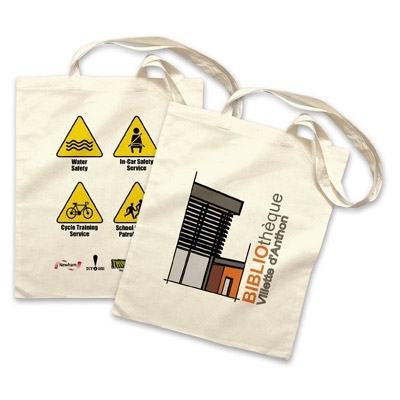 Description Cotton Shopping Bag – available with long or short handles. A great promotional item for exhibitions, supermarkets and shops of all descriptions. You message can be printed in up to 4 colours, on 1 or 2 sides, to create a mobile billboard and will be seen again and again by a vast audience. The price includes printing your message in 1 colour on one side. Size: 375 X 420mm. Unit price for 150: € 1.75 Unit price for 300: € 1.55 Print set-up charges & Vat apply.